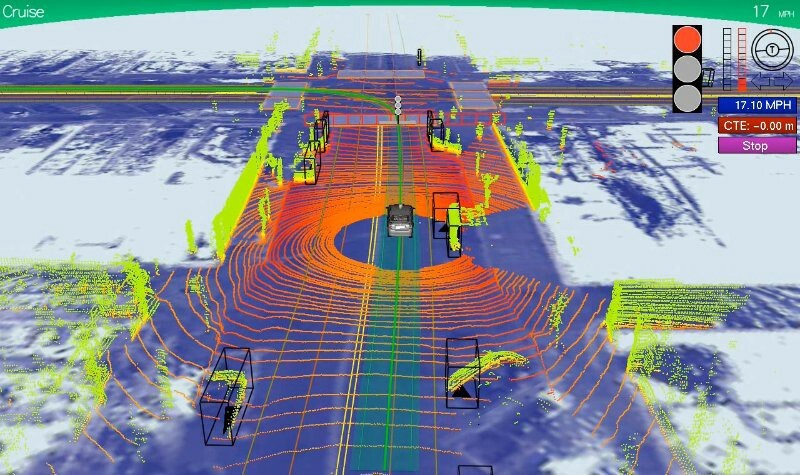 Why did LIDAR take off with self-driving cars? In a word: mapping. LIDAR allows you to generate huge 3D maps (its original application! ), which you can then navigate the car or robot predictably within. By using a LIDAR to map and navigate an environment, you can know ahead of time the bounds of a lane, or that there is a stop sign or traffic light 500m ahead. This kind of predictability is exactly what a technology like self-driving cars requires, and has been a big reason for the progress over the last 5 years. As LIDARs have become higher-resolution and operate at longer ranges, a new use-case has emerged in object detection and tracking. Not only can a LIDAR map enable you to know precisely where you are in the world and help you navigate it, but it can also detect and track obstacles like cars, pedestrians and according to Waymo, football helmets. Modern LIDAR enables you to differentiate between a person on a bike or a person walking, and even at what speed and which direction they are going in.